For 2016, the BMW M2 coupe and M235i xDrive convertible join the 2-Series linup. An alarm system is now standard on 4-cylinder models, which also benefit from more equipment. So do M235i models, which receive a universal garage-door opener, keyless entry, auto-dimming mirrors, and satellite radio. Further updates are limited to equipment changes of optional packages. 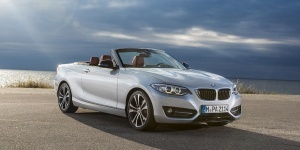 Find the used BMW 2-Series of your choice from a dealer in your area. Search our used car listings now.